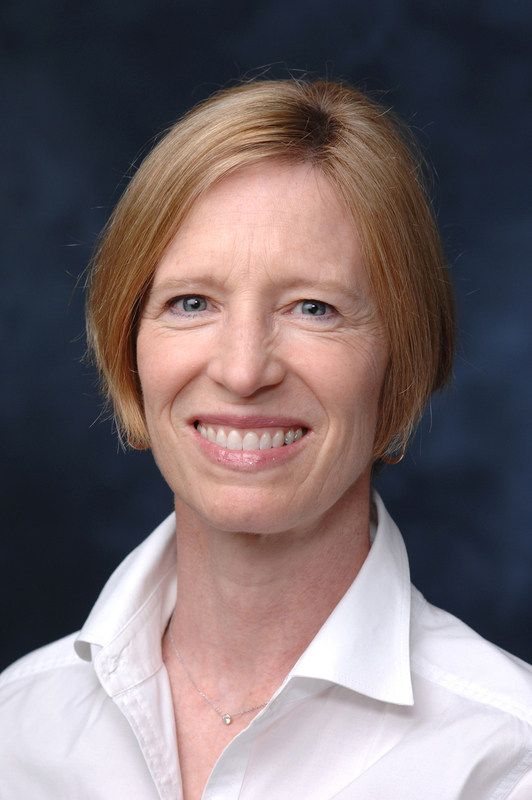 Ellen Chadwick, MD, ‘82 ’85 GME, professor of Pediatrics in the Division of Infectious Diseases, was a co-author of the study published in the New England Journal of Medicine. Drugs commonly used to prevent HIV transmission from mother to child during pregnancy are not associated with a higher risk of adverse birth outcomes, according to the results of a clinical trial published in the New England Journal of Medicine. A regimen of three antiretroviral drugs is the standard of care for pregnant women living with human immunodeficiency virus (HIV). When women receive such drugs during pregnancy, the risk of passing the virus to their infants falls to less than 1 in 100. “All pregnant women living with HIV need these medications to prevent transmission, and it is important to use the safest drugs available to accomplish this goal,” said study co-author Ellen Chadwick, MD, ‘82 ’85 GME, professor of Pediatrics in the Division of Infectious Diseases and a member of the Stanley Manne Children’s Research Institute. Recently, a trial called PROMISE conducted in sub-Saharan Africa and India raised concerns about the safety of one such antiretroviral regimen. The study found that pregnant women who received a combination of antiretroviral therapies known as TDF–FTC–LPV/r (tenofovir disoproxil fumarate, emtricitabine and ritonavir-boosted lopinavir) were more than twice as likely to have infants born very prematurely or at a very low birth weight as compared to those who received a regimen of ZDV–3TC–LPV/r (zidovudine, lamivudine and ritonavir-boosted lopinavir). The World Health Organization currently recommends a TDF-FTC-based regimen as first-line therapy for all HIV-infected adults, including pregnant women. As such, investigators wanted to assess whether the risks identified in the PROMISE trial also translated to other settings, as well as to all TDF-FTC-based regimens, which are commonly used in the U.S. In the current study, investigators compared the risk of adverse birth outcomes among women taking one of three drug combinations during pregnancy: the two previously studied in PROMISE, and a third TDF-FTC-based regimen with a different protease inhibitor, called ATV/r. The study used data from two large U.S. multi-site cohorts of HIV-infected pregnant women and their infants, known as PHACS and IMPAACT, and included 4,646 birth outcomes. The investigators found that the risk of adverse birth outcomes was similar among all three drug regimens, in contrast to findings from the PROMISE trial. There was no increased risk of prematurity or low birth weight with TDF–FTC–LPV/r than with ZDV–3TC–LPV/r or TDF–FTC–ATV/r among U.S. women in the study. “It is reassuring to see that some of the most commonly used anti-HIV drugs in pregnancy, when used in the United States, did not raise the same safety concerns as seen in lower-resourced settings,” Chadwick said. Chadwick is also the Irene Heinz Given and John LaPorte Given Chair in Pediatrics and director of the Section of Pediatric, Adolescent and Maternal HIV Infection at Ann & Robert H. Lurie Children’s Hospital of Chicago. The study was led by investigators at the Harvard T.H. Chan School of Public Health. The Pediatric HIV/AIDS Cohort Study (PHACS) was supported by the Eunice Kennedy Shriver National Institute of Child Health and Human Development (NICHD) with co-funding from the National Institute on Drug Abuse, the National Institute of Allergy and Infectious Diseases (NIAID), the Office of AIDS Research, the National Institute of Mental Health (NIMH), the National Institute of Neurological Disorders and Stroke, the National Institute on Deafness and Other Communication Disorders, the National Heart, Lung, and Blood Institute, the National Institute of Dental and Craniofacial Research, and the National Institute on Alcohol Abuse and Alcoholism, through cooperative agreements with the Harvard T.H. Chan School of Public Health (HD052102) and the Tulane University School of Medicine (HD052104). Data-management services were provided by the Frontier Science and Technology Research Foundation, and regulatory services and logistical support were provided by Westat. Overall support for the International Maternal Pediatric Adolescent AIDS Clinical Trials (IMPAACT) Network was provided by the NIAID of the National Institutes of Health (NIH) under award numbers UM1AI068632 (IMPAACT LOC), UM1AI068616 (IMPAACT SDMC), and UM1AI106716 (IMPAACT LC), with co-funding from the NICHD and the NIMH.